Over Labor Day Weekend I took advantage of all the sales and went out and bought myself a juicer. I had planned to try a juicing cleanse later in the month, but my excitement and lack of patience took me straight to the fruits and vegetables stand (and then to target to get a big measuring cup, and then to the dollar store to get travel cups for my daily juices). Juicing is not as expensive as you might think! The ingredients ended up costing me about $54 for the 5 days. I went to Growers Direct to get all the produce. I decided to follow the Reboot with Joe plan from Fat, Sick and Nearly Dead (It’s available on Netflix). Monday night, I spent three hours with my roommates making all of our juices for the day. I blame the kale and being a beginner for the ridiculous amount of time it took us to make 5 drinks each. That said, I was happy with the juicer I chose to purchase- a Jack LaLanne Power Juicer express. However, I would recommend to anyone buying a juicer for themselves, make sure it has two speeds. Mine was a good price for a juicing newbie! On the plan, I start the day with my warm water and lemon, then followed it up with an “orange juice” not to be confused with OJ. 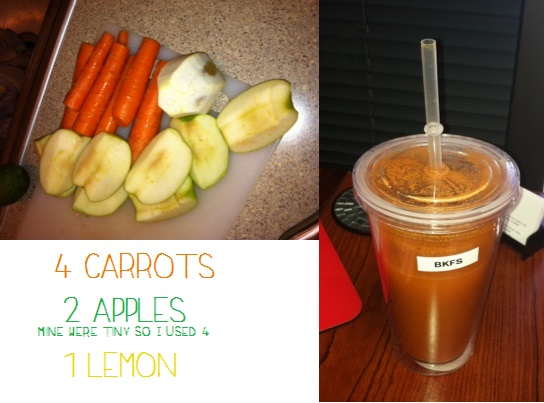 My favorite is Carrot, Apple and lemon. Coconut water and I are not the best of friends, so I only made it through half of my serving before deciding to save the rest for the next day (and then never drank the stuff again). Lunch is a “green juice”, which I struggled with. I could only choke down about half of it. Some people love the green juice, but my gag reflexes were on high alert! 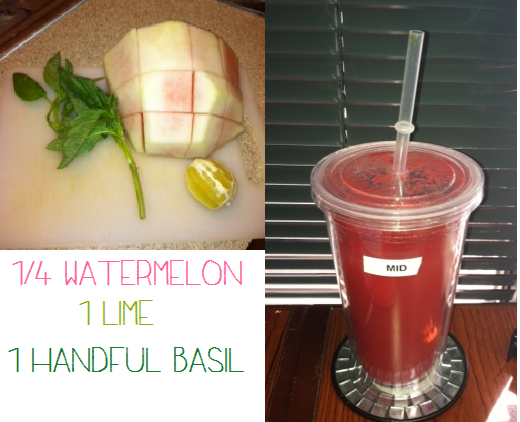 The mid afternoon drink is a “red” of “orange juice” My favorite recipe is definitely the watermelon, lime and basil! It was so great, I couldn’t help but wonder what it would taste like with vodka. By this time, I was surprised that I wasn’t hungry. Although, I felt like I hadn’t stopped drinking for long enough to get hungry. At dinner time,you are suppose to have another green juice. This one disagreed with me worse than the last. After dinner you get a dessert of a “red” or “purple juice”. These ones were delicious, but sometimes were almost too sweet. The purple juice include things like peaches, sweet potatoes and blueberries. 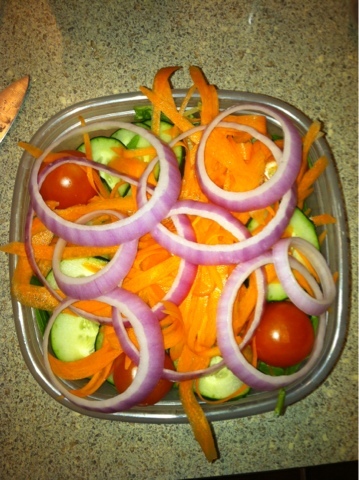 For day 2-5 I decided that it was in my best interest to switch to colorful salads for lunch and dinner . I didn’t read to do this anywhere, but I wanted to make sure I was getting all the same servings of veggies, even though I was chewing them instead of sipping them. I’d be lying if I said, I never wanted to eat more, but that was my head talking, not my body. I never once felt weak or tired. In fact, I would say I felt like I had more energy. Warning: if you are a caffeine junky, you will probably feel like crap the first few days. I have lost 5 pounds this week. My skin feels super soft. My face began to break out in the beginning, but now it is looking really clear. I’ve had plenty of energy. I just feel really good! Because of all this, I have decided to make juicing a part of my life. 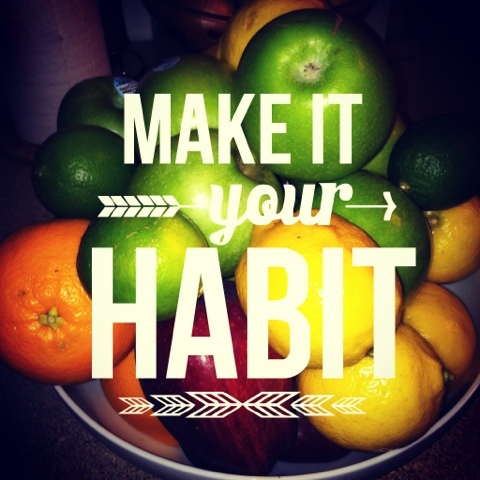 I am going to continue to at least drink two juices a day, which will give me three servings of vegetables and four servings of fruits per day. Also, since I have gone 5 days without any animal byproducts, I have decided to limit my animal byproduct intake to 3-4 times a week. This means I will be eating a mostly plant based diet. Have any of you tried juicing? What are your favorite recipes? Please share! Way to go! Sounds so awesome!